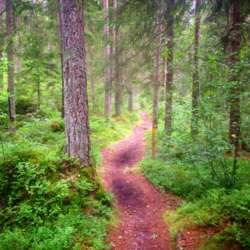 Are you up for a quick train ride to Alingsås, followed by a 16 Km walk around the famous Potato trail, passing through farms and woods!! If it sounds lovely then you are at the right place, and we at InterNations want to organize such fun activities for our members :-). Let's buckle up and meet soon with our beers and lunchboxes. Those who aren't fond of carrying luggage, don't worry, the hike passes through a few cafes, which should be open for warm beverages and food. I am excited to meet you all soon!! The train ride is of 40 mins and there are several trains going to Alingsås on an hourly basis. Protected content (Tickets to and fro should cost approximately Protected content if booked early). Increased number of attendees, in case more people want to join.